New Pattern From Maddy Craft! 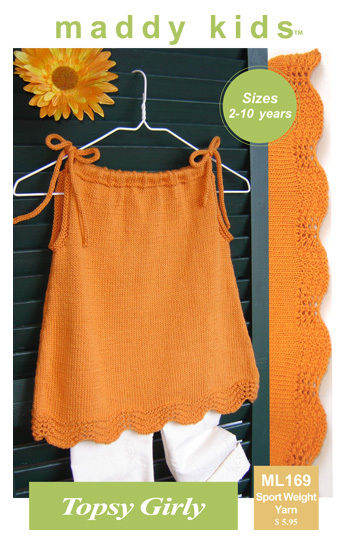 Your little girl will be adorable in this lacy, sleeveless top. Tied at the shoulders with I-cord, and with a bit of lace at the bottom, couldn’t be easier! Knit in a sport weight yarn, you can go wild with your colors on this one!